Trinetics Group partners with injection molders to provide total turnkey solutions for parts production, machining, fabrication, assembly, welding, testing and packaging. With providing parts product development we can do the upfront work as well. We are a solution for an injection molders secondary operation with the additional processes to finish the job. For plastic joining, we use ultrasonic welders, infrared welders, hot tools, platen presses, gluing and many other techniques. For assembly and packaging, our production staff performs daily routines of hand or machine assembly, test, inspection and packaging duties to enhance the capabilities in contract manufacturing services. Since we are an experienced machine builder, many times we will build an assembly or plastic welding machine to provide an efficient production environment. A manufacturing process for producing parts from both thermoplastic and thermosetting plastic materials. Material is fed into a heated barrel, mixed, and forced into a mold cavity where it cools and hardens to the configuration of the cavity. After a product is designed, usually by an industrial engineer. 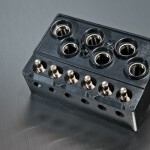 Insert molding is a highly efficient process by which metal stampings, bushings, electronic parts, and other discrete parts are combined into a single component through the injection of thermoplastic around the carefully placed parts. This can eliminate post assembly labor and form and integral part of your design. Over molding is a process very similar to insert molding except it involves plastic over plastic instead of plastic over metal. 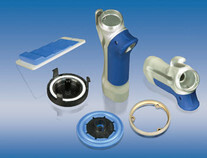 Overmolding involves it’s own set of issues to obtain the proper shutoff’s that plastic (as opposed to metal) presents. We have a great deal of experience in overmolding dissimilar materials. In several cases, thermoplastic rubbers have been overmolded to give “soft touch” or other desired mechanical properties. If you are an OEM with tooled products at your injection molder, we work with them directly or work the OEM. 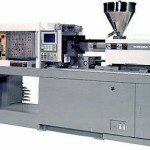 An Injection Molder requires a secondary operation to complete the part. We assist you to provide your customer a finished plastic part. 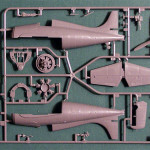 We provides a one-stop shop for the design or development of a plastic part. Our product development team includes both internal and external engineers to turnkey the product to a stage of completion or total turnkey completion.